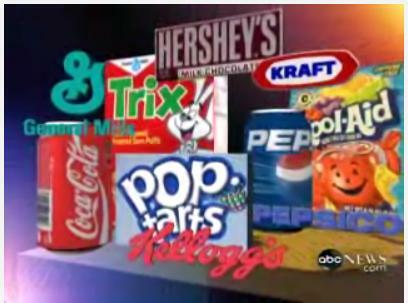 Disney said that its programming will no longer show ads from junk food companies. The Walt Disney Co. said Tuesday it will become the first major media company to ban these ads for its TV channels, radio stations and Web sites for children. That means that children who watch shows for children on Saturday morning at Disney's ABC, they will no longer see advertisements of fast food and sugary cereals that do not meet the companies standards of nutrition. The guidelines do not take effect until the year 2015 due to existing advertising agreements. First Lady Michelle Obama called the announcement a "game changer" in a statement. "With this new initiative, Disney is doing more than what any major media company has ever done before in the U.S. and I hope that every company will do the same in the future," Michelle Obama said. Disney says its guidelines comply with federal standards to promote consumption of fruits and vegetables and reduce fat intake, sodium, sugar and saturated fats.